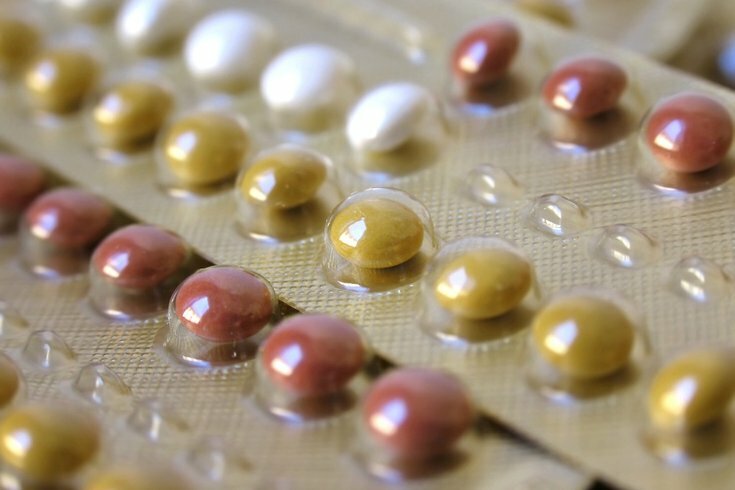 In what sounds like a nightmare out of “The Handmaid’s Tale,” thousands of birth control pill packs are being recalled after incorrect packaging replaced active pills with placebo bills, an error that could lead to unintended pregnancies for consumers. Pharmaceutical company Allergan issued a voluntary nationwide recall Tuesday on almost 170,000 sample packs of the birth control Taytulla. The placebo pills, which are intended to be placed at the end of a 28-pill pack, were mistakenly placed at the beginning of the pack. Allergan said that the incorrect order is significant enough to cause pregnancy. “Allergan recently identified, through a physician report, that four placebo capsules were placed out of order in a sample pack of Taytulla,” Allergan said in a statement. The recall applies to Taytulla packs issued after Aug. 27, 2017, and expiring in May 2019. Allergan provided a chart, below, outlining the pill packs in question. The Taytulla birth control pills being recalled were first issued Aug. 27, 2017. Allergan also provided photos of the correctly and incorrectly packaged pill packs. The brown placebo pills should be the last four of the pack. 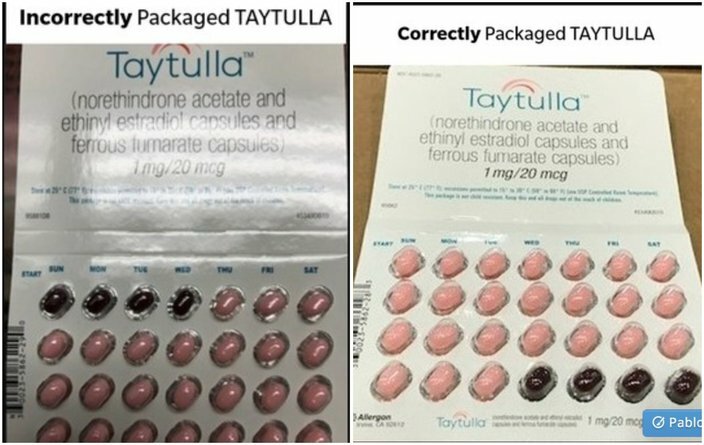 The side-by-side photo shows incorrectly and correctly packaged Taytulla birth control pills. Note the difference in locations of the darker colored pills. “The reversing of the order may not be apparent to either new users or previous users of the product, increasing the likelihood of taking the capsules out of order,” Allergen’s statement reads. According to STAT News, this is the only lot of sample packs that have been identified as incorrectly packaged. The company learned about the error after one physician reported it. The total lot of recalled packs originally had been distributed to doctors across the country who can offer them to patients as samples. STAT points out this is just the latest negative news for Allergan so far this year. In January the company cut 1,400 jobs, and then later received bad publicity when a proposed deal with a Native American tribe was unsuccessful. On Monday, Allergan’s stock closed down 1.91 percent.